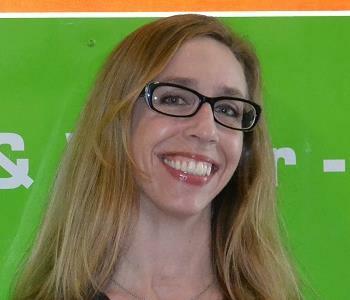 Kate is the Administrative Assistant for SERVPRO of Northwest Fort Worth. Kate is our front line when customers call in looking for help. Kate's big smile shines through whenever she speaks with our clients, and they can be immediately assured that they've found the right company to help them. William Hughes is a production technician at SERVPRO of Northwest Fort Worth. He has been with us over a year and takes pride in helping people. His calm demeanor is often comforting to those in stressful situations. He is currently working on his Water Removal Technician Certification from the Institute of Inspection Cleaning and Restoration (IICRC). Lola was adopted by our franchise owner, Matthew Hicks, in March 2015 from the Humane Society of North Texas. She is our best door greeter and sometimes rides shotgun with Matthew to jobsites where she helps supervise. Lola is a valuable asset to our SERVPRO of Northwest Fort Worth team and is always willing to offer a paw for assistance. 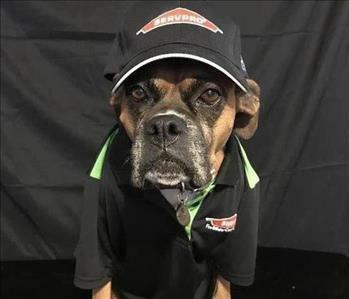 Tabitha is a Production Technician for SERVPRO Northwest Fort Worth. 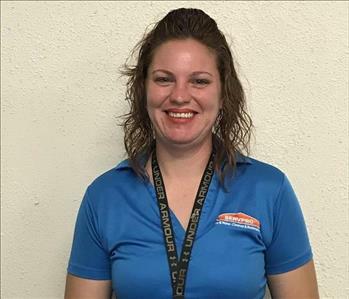 Tabitha has the following certifications from the Institute of Inspection Cleaning and Restoration Certification(IIRC): Water Removal Technician, Mold Remediation, Applied Structural Drying Technician and Carpet Cleaning Technician. Her can do attitude is an asset to every job she is given. She enjoys home remodeling projects, carpentry, creating and building, outdoor activities, and spending time with her family. 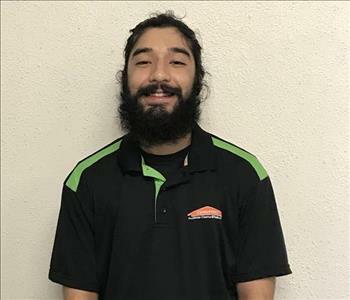 Rodney is a Production Technician for SERVPRO Northwest Fort Worth. Rodney has past experience working for us and now is currently back on board. He has the following certifications from the Institute of Inspection Cleaning and Restoration Certification (IICRC): Water Removal Technician, Applied Structural Drying Technician and Carpet Cleaning Technician. Rodney enjoys playing basketball with friends, video gaming, and spending time with his family.